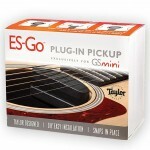 Designed for the Mini, this add-on pickup is a snap to install. 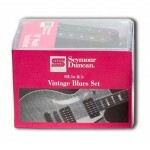 Developed exclusively for the Ta..
Seymour Duncan has released their most popular pickup models in pre-matched sets, to take the guessw.. 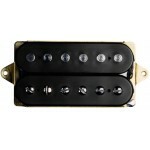 Although Eric Johnson is best known as a Strat player, he has always played humbucker-equipped guita.. 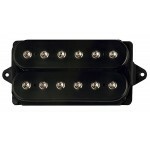 Although Eric Johnson is best known as a Strat player, he has always played humbucker-eq.. 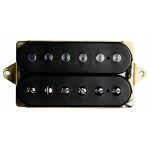 If you've seen Steve Vai perform in the last few years, you may have seen him playing a Jem guitar w..
DiMarzio created the Breed Neck Pickup in response to a request from Steve Vai for a fat.. 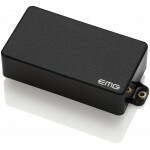 Although the EMG-85 Humbucker has more measurable output than the 81, its frequency response and s.. 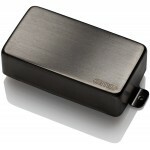 The EMG-81-7 is a high output pickup designed especially for the lead 7-string guitarist. The 81 i..